Saturday, September 29, Dayton-based southpaw Jeff “The Nightmare” Camp travels to the Rising Star Casino in Rising Sun, Indiana. Camp is slated to face Traye Labby for the vacant American Boxing Federation’s USA Mid American Super Lightweight title in the main event of a Nate Tubbs Events & Promotions card. Camp – then 0-1-2 at the time – is the first professional boxer this writer had the opportunity to sit down and interview a couple of years ago. That podcast interview resulted in dozens of boxing articles at GoingFor2.com, to a boxing page on that Daily Fantasy Sports-focused (DFS) site, to dozens of articles at RoundByRoundBoxing.com, and now this website and its weekly podcast of the same name. The 29-year-old gradually righted the ship, and his record now stands at 4-2-1 with four consecutive knockouts. A little over two years ago, Camp stunned a packed house in Indiana with a devastating second round knockout of veteran boxer Agustin Cicero – his biggest challenge to date. Saturday he’ll be looking to do the same. To this point, Camp hasn’t experienced the success of Islam. Fighting out of Dayton, he hasn’t garnered the attention of capable boxing managers and promoters. 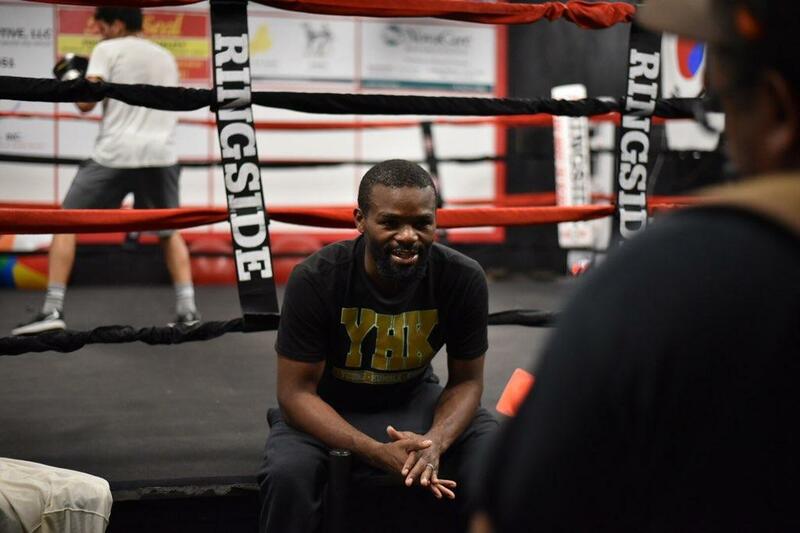 Opportunities haven’t developed for him to spend invaluable time in training camp with current world champions like Cincinnati Welterweight Boubacar Sylla who recently trained with Terence Crawford. Leading promotional company Top Rank hasn’t called Camp like it did its recent Toledo-based signee Albert Bell. But, with an exciting performance Saturday evening, perhaps Sunday there’s a brighter outlook for The Nightmare. Saturday night, Camp will be joined on the card by fellow Daytonian Will Clemons who is scheduled to face Super Welterweight Muhammad Adams. Clemons is a Mayweather Boxing Club product who has sparred the likes of WBC Welterweight champion Shawn Porter, as well as several other renown fighters. The two last fought on the same card back in June of 2016, when professional boxing returned to Dayton for the first time in over two decades. Both fighters electrified their hometown supporters with explosive first round knockouts. Interested fans can inquire about tickets by contact the Rising Star Casino at 1-800-472-6311 and selecting option “2” throughout the rest of the week.